A no-deal Brexit could prove immensely costly for Ireland, said Dan O’Brien in the Irish Independent (Ireland). The U.K. Parliament has nixed Prime Minister Theresa May’s carefully negotiated plan for Britain’s exit from the European Union, and it’s looking increasingly likely that no new deal will be reached with Brussels before Britain formally leaves the bloc on March 29. At that point, a so-called hard border would have to be erected between the Republic of Ireland, an EU member, and the U.K. province of Northern Ireland. No fence would go up, but border checks would be introduced along major roadways that link the two countries. That’s because once the U.K. has left the EU’s single market and customs union, “goods coming into the EU from British territory would immediately be subject to checks” to make sure they comply with EU agricultural and other regulations, and many would be subject to tariffs. If Ireland chose not to conduct those customs checks, it could be punished by the EU, which might place crippling tariffs on Irish goods. Reintroducing border checkpoints on the island would jeopardize “decades of peace,” said The Guardian (U.K.) in an editorial. 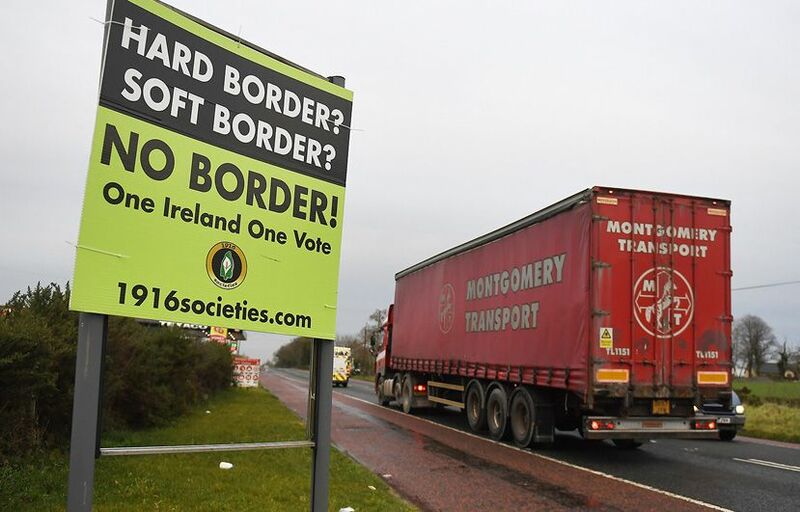 During the terrorism-plagued era known as the Troubles, which began in 1968, border checkpoints and the military watchtowers that loomed over them were frequent targets of attacks by nationalist groups like the Irish Republican Army, which wanted a united Ireland ruled from Dublin. Allowing the free flow of goods and people across the border was a key underpinning of the 1998 Good Friday Agreement that ended the Troubles—and it was only possible because both Ireland and the U.K. were EU members, with a shared customs agreement. A car bombing in the Northern Irish city of Derry last month proves that the terrorists are still out there, said David Young in the Irish Examiner (Ireland). Surveillance camera footage shows the bomb exploding outside a courthouse just minutes after seven teenagers walked by; they could have been killed. Police suspect the “New IRA,” the largest of several active dissident republican groups. In the past 10 years, dissidents have murdered two soldiers, two police officers, and two prison guards, and but for the vigilance of security services in the U.K. and Ireland, casualties would be higher. These groups will see “any physical border infrastructure” as an excuse to ramp up their campaign of terror.